96 years old and enjoying every moment of her Birthday. Margaret Kuhn is still beautiful and very pleasant to be around. Bernie, lovingly at her side, enjoyed joining in with the Happy Birthday toast that his son Butch presented to his mother in honor of his sisters - Joellyn and Barbara, too. Everyone enjoyed appetizers before having a delicious Caesar Salad and then scrumptious Surf &Turf dinner. And, yes, we all had some of that delicious chocolate cake adorned with vanilla ice cream . It was a fun celebration and everyone had a wonderful time. 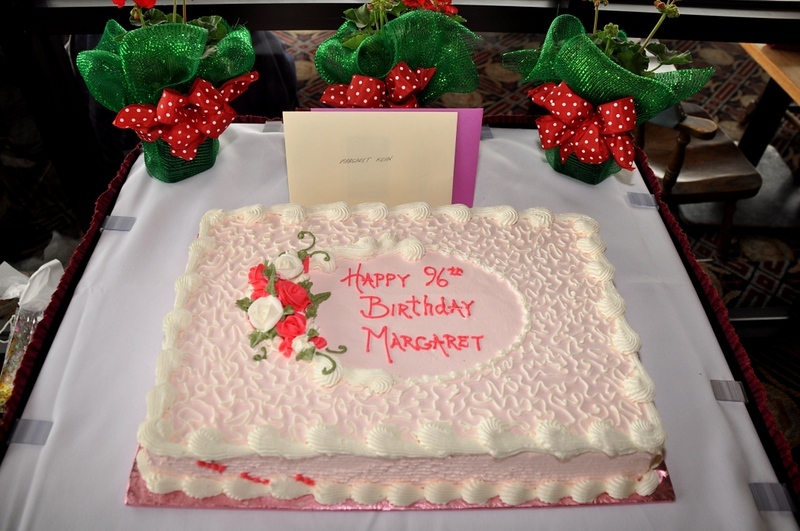 Happy 96th Birthday, Margaret. and Many Happy Returns!